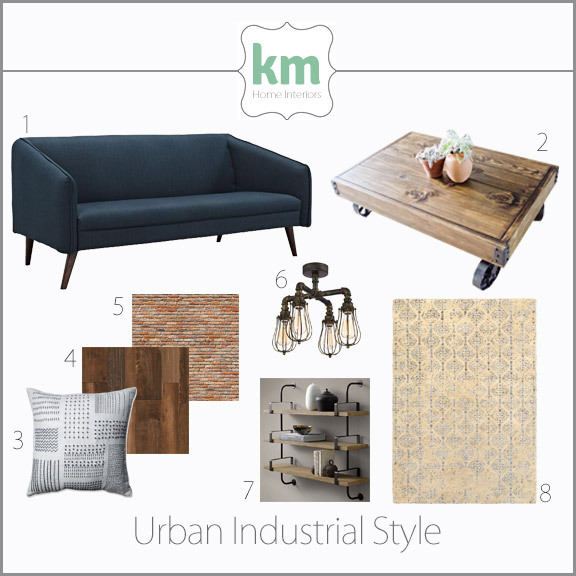 This month’s Design Style Guide is all about that gritty yet inviting style loved by city dwellers: Urban Industrial. 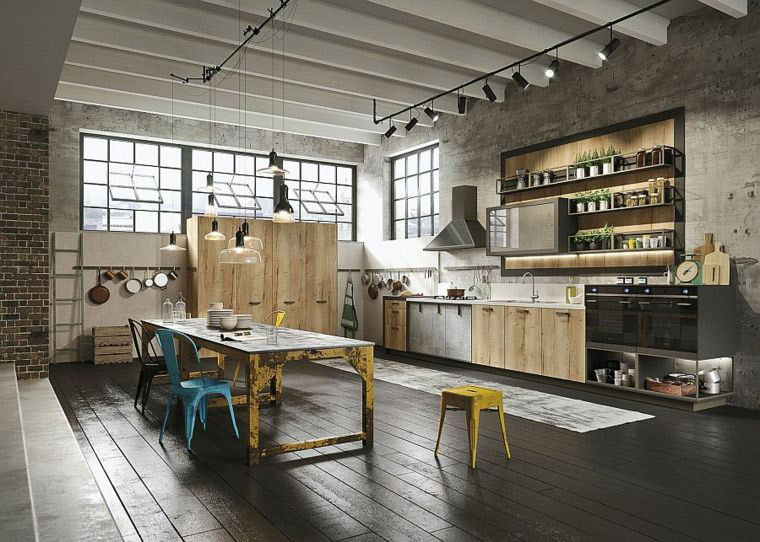 Definition Urban Industrial (also referred to as Industrial or Industrial Chic) the style most commonly found in city lofts, converted warehouses, and other uniquely reclaimed spaces. It’s a distinctly masculine look that is far from cold. Large windows, high ceilings, open spaces, and comfy upholstered furniture add a welcoming touch to this minimalist style. History Urban Industrial rose in popularity in the start of the new century as more and more Millenials looked for creative ways to live affordably in large cities. By converting unused commercial spots into their living spaces, an entirely new look was created. Urban Industrial brought about a new wave of repurposing old items into new and unusual home decor items such as rolling carts as coffee tables or metal piping and reclaimed wood as wall shelves. Spot the Style Urban Industrial is easy to spot. Loft spaces with open floor plans. Exposed elements such as brick, cement, or duct work. Original wood floors that are often 100 years old or older. Sleek kitchens with stainless steel and concrete counters. But it’s not all cold, rough surfaces. Floor-to-ceiling windows let in endless natural light, plants abound, and furnishings are often cushy upholstered pieces that invite you to curl up with tea and a good book. Because spaces are often wide open, furniture such as sectionals or bookcases are used as visual room dividers. Notables One of my all-time favorite Urban Industrial spaces is the NYC Apartment by The New Design Project. It hits all of the right notes – gritty yet welcoming, unexpected pieces repurposed into unique furniture, and the most beautiful hardwood floors paired with exposed brick. I love their space so much, I stole their idea of concrete bricks as night stands idea for my own bedroom!